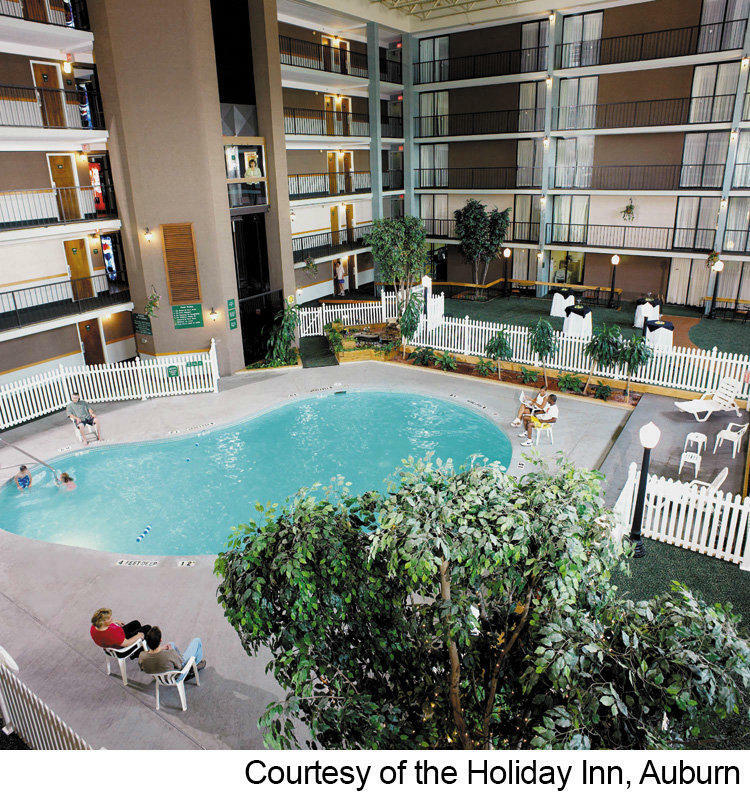 The Holiday Inn® Auburn NY - Finger Lakes Region hotel's location is perfect for business and leisure travelers. Just off Rtes 5 & 20 and near Owasco Lake, we make it easy to get to the businesses and popular attractions in the Finger Lakes NY area. When staying in the Finger Lakes Region, corporate guests enjoy both our hotel's location in Auburn, New York and our great facilities. We're close to many major businesses, such as Welch Allyn, TRW, Nucor, McQuay, O-I, Honeywell and Tessy. With a dividable 6,264-sq-ft banquet room, four breakout rooms and an executive boardroom, we accommodate all the event needs of our hotel's guests. In Auburn, New York, guests enjoy a variety of great attractions and shopping opportunities. We're within walking distance of the historic Seward House and Willard Memorial Chapel, and only minutes from Merry-Go-Round Playhouse, Waterloo Premium Outlets and the Cayuga Lake Wine Trail. Guests also enjoy our many leisure packages, especially our "Sip Dip & Stay Package", or "Girlfriends Getaway Package". Book your stay with us today!